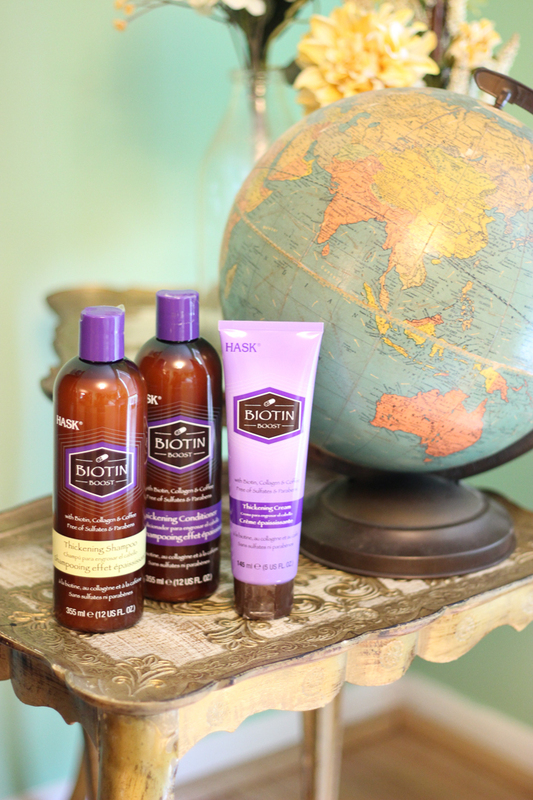 Review: Biotin Boost Thickening Collection - Look Good While You Travel! While this post may not be directly related to travel, I do think that feeling confident in your appearance and having healthy hair can definitely impact your mood while on the road! So, when the opportunity arose for me to try HASK‘s new Biotin Boost Thickening Collection, I knew I had to give it a try. For someone like me with crazy-thin and fine hair, I am always on the hunt for products that will help me have more volume. While I’ll admit I was a bit skeptical at first, I did ultimately feel that the products made my hair appear thicker, fuller, and stronger. Considering their affordable price, they worked surprisingly well. I used the Biotin Boost Collection for 7 days straight, which consists of a thickening shampoo, conditioner, and a styling cream. After using the shampoo and conditioner, I did not immediately notice a difference while my hair was still wet. The noticeable change came when I applied the cream, and then blew dry and styled my hair. After styling my hair with the Thickening Cream, I did feel like my hair had more volume and shine. I gathered all my hair into a ponytail, and could tell from grasping the hair that it felt more thick than on a normal day. Interested in trying these products out for yourself? You can find them at any Ulta Beauty location! Also, make sure to check out their Instagram page for tips and advice on hair styling and beauty products. This is a sponsored post, but per usual all reviews and opinions are my own.